I am going to ride The Coffee Ride, Uganda to support Hospice Jinja Uganda. 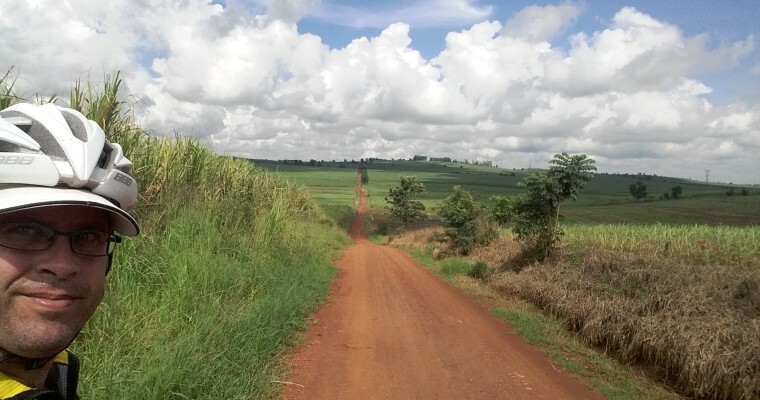 A mountain bike ride of more than 550 km to raise funds to equip the community health volunteers of Hospice Jinja with bicycles and smart phones so that they can provide a better and more efficient palliative care service to patients and families with advanced cancer and HIV/AIDS in Uganda. Due to the scarcity of health workers and the large number of patients in need, Community Health Volunteers (CHVs) are important providers of health services, often ensuring patients who have no family or other carers are supported. CHVs are important liaisons between patients, Jinja Hospice and other healthcare providers, ensuring not only palliative care needs are addressed but also other healthcare services support is provided. CHVs are trained by Jinja Hospice to provide patients with basic nursing care, including assessment, cleaning wounds, psychosocial support and referrals to appropriate health services. With their familiarity with the community CHVs ensure patients in need are found and supported. CHVs are also advocates, ensuring palliative care is embedded in the community. Those patients identified by CHVs in need of palliative care are referred to one of the three hospices where they are assessed and either put on the programme or referred to a more appropriate provider. CHVs also play a major role in outreaches, ensuring they well organised and patients are aware and come for the clinics. Geef Luuk een vliegende start met jouw gulle gift! CooP-Africa, Cycling out of Poverty gelooft dat de fiets een verschil kan maken in deze wereld, op het gebied van gezondheid, onderwijs, armoedereductie, milieu etc. Daarom implementeren wij verschillende fietsprojecten die bijdragen aan de Millenniumdoelen. De doelstelling van CooP-Africa is het verbeteren van toegang (beschikbaarheid en toegankelijkheid) tot een fiets als middel voor armoedereductie en het initieren en promoten van fietsinterventies die kunnen bijdragen aan het verbeteren van het leven van Afrikaanse gezinnen.